New feature! Or maybe it’s an old feature that I tried to do once or twice but got sidetracked by something and forgot about. Hey, stuff happens. It’s Wendalicious Wine of the Week! I would have done it on Wednesdays, but frankly, that’s just too much. You’re welcome. I have been finding some very inexpensive wines at my local Heinen’s lately, and I’m enjoying trying out some new bottles. I’ll share a new one with you each week, and I’d love to hear your feedback if you’ve tried it,or if you have some other suggestions for cheap wines I should be trying. What’s cheap? Less than $10. I’ve been finding a few in the $5-$7 range. I’m a cheapskate! 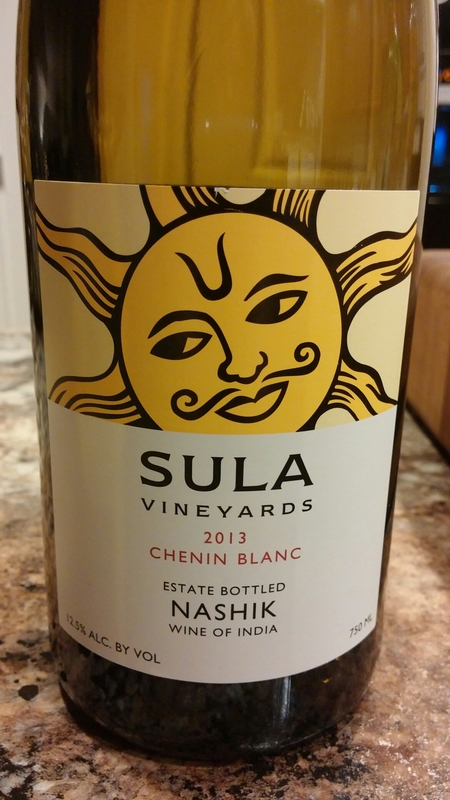 Sula Vineyards Chenin Blanc 2013, from India. It was an “end of bin” special at Heinen’s, meaning I could pick up a bottle for $6.99. Even if it’s awful, I’d only be out a few bucks. And I love a last-chance bargain. It’s made in India. This is the first time I’ve seen a wine from India, and it piqued my curiosity. 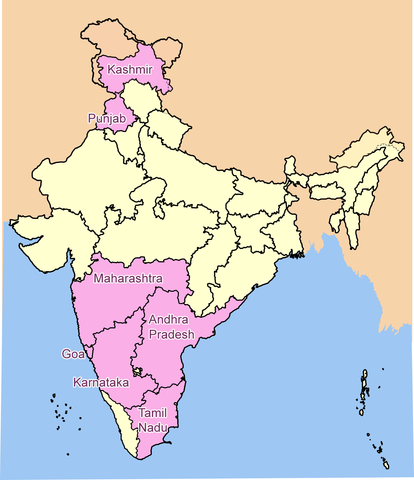 More and more viticultural areas are popping up all over the world, so why not India? They even make wine in Arkansas. I’m really enjoying this one. Light, fruity, with a touch of sweetness and the slightest hint of effervescence. It bursts with pineapple and lemon, and is well balanced. If it were summer, it would be a great wine to share with friends on the deck. I’m glad it’s winter so I don’t have to share. Sula suggests drinking it well-chilled, but I think it’s a little better if it’s not directly from the fridge. Sula also suggests it is “ideal with food that has a hint of sugar and spice such as Southeast Asian or Gujarati dishes”. I don’t have any of that. Trust me, it’s great all on its own. I wish I picked up the other three bottles on the shelf. If you happen to see this wine, or any wine from India, my advice is to scoop it up, since the window on Indian wine is closing fast. If your store has it, it’s probably in the discontinued bin. Have you tried this one, or another Indian wine? What did you think? Previous Previous post: Wendalicious Now Writing for Akron Empire!